Accessorise in style with this fabulous belt by Marina Rinaldi X Ashley Graham. Striking with a gold tone buckle, this perfect finishing layer will transform your look into a stylish statement. 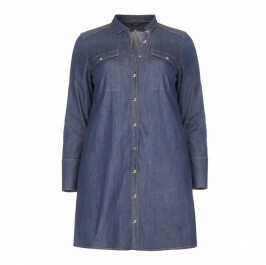 Ideal for smart and casual wearing, style with a black dress underneath a denim shirt dress. Finish with a pair of black suede heels for that elegant touch. View All Ashley Graham X Marina Rinaldi products.